1. 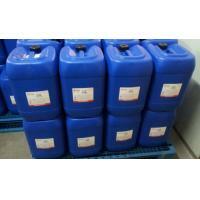 Executive standard for products: GB 30616-2014. 2. Our produces have more than 1000 items flavour. 3. We are devoted to assist customers to improve the food odor and reduce manufacturer's production cost. We can develop flavour as customers' requirement to meet your different demands. For samples: Always ship by express Fedex. Take about 3-5 days to arrive. For goods: Ship by express(FEDEX), Ship by air, Ship by sea. Will subject to customers’ requirements. We could send free samples to customer for a test, but express fee always borne by the customer. This fee will could be refund in customers’ future orders. 1, can the goods be arrived in time? Our company has signed permanent assignment and cooperation with the good Freight forwarding company, so our goods are protected by law. Seldom have we been complained for delayed. 2, how can you assure your products’ quality? At first, our all raw materials are under very strict control by purchasing department; and we have the topping testing facilities to test the quality and various experiment testing facilities. what’s more our company have gained COA certificates. 3, how can we know your products are Qualified? Our products have approved relative professional application tests and achieved relative certificates, furthermore, before you Order, we can offer the product sample to you for free, and then after you using, you can get a better understanding of our products. 4, why should we choose your company’s products? Because our company is inexpensive in price while excellent in quality, has very professional and responsible Sales team, we have welcomed and praised by our customers, and we will continue to provide the sincere service , the best quality and the most affordable prices, to cooperate with you for future development and prosperous. I am sure our company is your sensible choice! 1. We have more than 10 years’exporting experience in flavor products. 2. We consistently produce the right flavors to suit their needs by ‘getting it right first time’. 3. We offer convenient one-stop purchasing service. We promise quick response and 7* 24 hours service. For years, we have established advanced quality and safe control system and have passed ISO22000, HACCP,HALAL inspection. We also passed strict quality and food safe control system to guarantee product quality and safety to win customers' trust. We have set up good cooperation relationship with many famous enterprises. Nanchang DuoMei Bio-Tech Co., Ltd. (hereinafter referred to as DuoMei Flavor) is located at Changleng Foreign Investment Industrial Park II, Xinjian County, Nanchang City, the heroic city of China, and covers an area of 18,000 m2. Since established, DuoMei Flavor combines the introduction of talent with the training of personnel and continuously sets up hi-tech talent group. Now, DuoMei Flavor not only has a group of experienced senior flavorists and application engineers, but also has a young and excellent leading group, sales team, customer service personnel and production team. With a staff of about 100 members, DuoMei Flavor is young and filled with vitality, and holds enormous development potential. 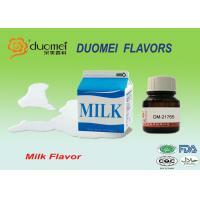 “High Starting Point and High Requirement” is the main tenet of DuoMei Flavor. With strong R&D team, perfect quality control system and advanced analytical equipments, DuoMei Flavor constantly promotes new flavor products to lead the flavor market trend. DuoMei Flavor creates the flavor with unique aroma and stabilized quality through researching and developing independently. With annual production capacity of 3,000t, DuoMei Flavor’s products are divided into liquid (water soluble and oil soluble), powder and paste, which are mainly applied to many food field such as dairy, candy, beverage, soft drink, baking, areca, nuts and liquor, etc. Technology innovation is the soul of DuoMei Flavor, “service first and customer foremost” is the tenet of DuoMei Flavor, and pursuit of perfect quality is the culture of DuoMei Flavor. 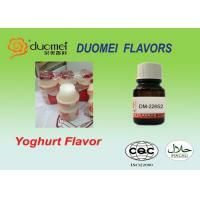 DuoMei Flavor respects customers, specializes in flavor career, be self-disciplined and powerful. What’s more, DuoMei Flavor takes the revitalization of national food industry as its own responsibility to make unremitting efforts to create “DuoMei Flavor” as the first-class flavor brand in China. 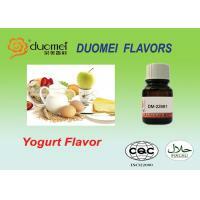 DuoMei Flavor creates a wonderful future with you together through its best service and high-quality products.